You might’ve come across bits and pieces on the Internet — most notably the phrase, “Have you tried turning it off and on again?” But that is nothing compared to the level of comedy the origin of the saying provides. The IT Crowd, a Bafta-winning cult comedy series, has gained a reputable following online, after the series became available on Netflix. What’s more, after its abrupt ending following Season 4, the fans were left on the edge about the show’s future. And after three years of rumors about Series 5, and even the possibility of a movie, writer and creator Graham Linehan confirmed on Twitter that the show would end with a one-off special to premiere later this year. It was an accidental find for me, the show. I found myself increasingly bored in the summer of 2011, and was looking through the television category, as usual. Geek-oriented comedies such as Community and The Big Bang Theory had already completed their season finales, and it was the dull hiatus period when there was nothing but the reruns and replays of previous episodes to view in great depth. 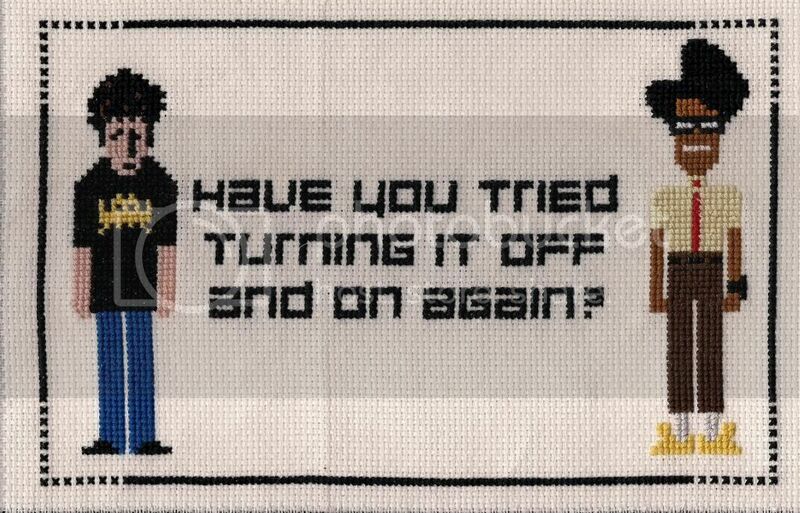 After coming across the odd title, a play on both the acronym “I.T.” and phrase “it crowd,” I decided to give it a go. I was not disappointed. If the theme song doesn't already lure you in, the quality of humor is sure to. The absurd comedy follows three IT technicians that work for a major corporate company with incompetent staff and bosses, highly sexist higher ups, and a universal lack of knowledge on computers — save for the two geeks practically living in the basement they call an office, Moss (Richard Ayoade) and Roy (Chris O’Dowd). It begins with Jen (Katherine Parkinson), a woman being interviewed for a position at a standard company. Mistaking the “experience with computers” on her CV, the CEO decides to hire her as the manager of the IT Department, something she quickly proves she is inherently incapable of doing, as she knows nearly nothing about the field. The “standard nerds” that CEO Denholm Reynholm (Chris Morris) talks about are, indeed, as described. But their personalities couldn’t be more different. Roy, the lazy and uncaring Irish misanthrope in casual clothing, despises working where he does and spends most of his time pretty much doing anything but his job. His messy appearance, and even more disinterested attitude towards situations make him a perfect foil for his coworker and friend — Moss. Socially inept and technically gifted in subjects of engineering and computers, Moss is the awkward embodiment of the stereotypical geek. Glasses, hair, and checkered shirts aside, he serves as the core of the comedy within the show, as his futility in learning social protocols becomes apparent on screen throughout the series. The interactions between the three provide for hours of endless entertainment, and some very crude humor — but if you can enjoy that, The IT Crowd proves to have some of the most stomach-hurting hilarity that will leave you asking: Why are there only 4 seasons and no closure (yet)? Welcome to TVGA shanzay, and great piece! Its ironic that just a few days ago that I read an interview with Chris O'Dowd (as I'm very much digging HBO's Family Tree) wherein he mentioned The IT Crowd and his looking forward to reuniting with the cast. I had heard of the show and it reminded me that I wanted to check it out. Also ironic, a bit: I graduated from college in 1996, worked a crappy admin in New York for a bit, and then announced that I was quitting as I was going to move to the UK for six months. The company -- essentially a Dunder Mifflin for dental products -- arranged a gig for me in a town outside of London. Little did I know that I would be the new Help Desk Administrator and expected to know about technology and and mid-'90s computer hardware. I knew quite little about either at the time, but wound up learning quickly to indeed ask people if they had turned it off and turned it back on (and miracuously this would fix a goodly chunk of issues).